Mentor Text for Choosing a Just Right Book! | Primary Planet! Mentor Text for Choosing a Just Right Book! 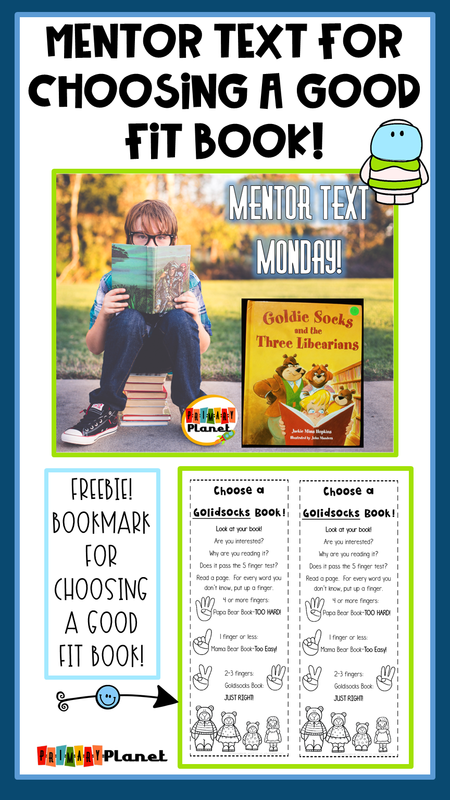 Welcome back to Mentor Text Monday (the post formerly known as Book Talk Tuesday). 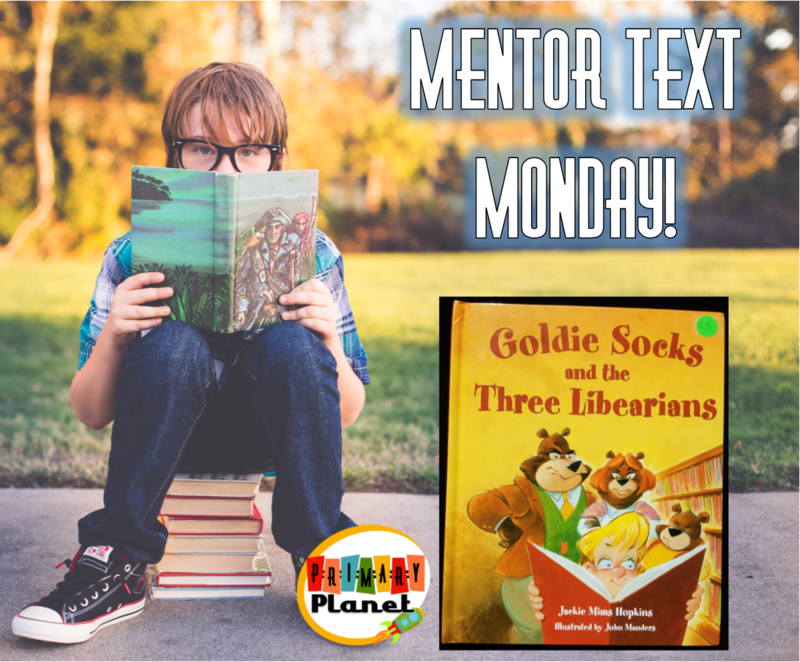 Today I am featuring: Goldi Socks and The Three Libearians by Jacki Mims Hopkins! Every school year we spend a ton of time teaching our kiddos how to choose books that are a Good Fit for them. This book is how I kick off my whole unit! In the story Goldi Socks discovers a house filled with books belonging to the Libearian family. Of course Goldi has to find something to read! She uses the five finger rule, and lots of trial and error to find a book that is a good fit for her! You know the story, the bear family comes home to find her....no spoilers here! 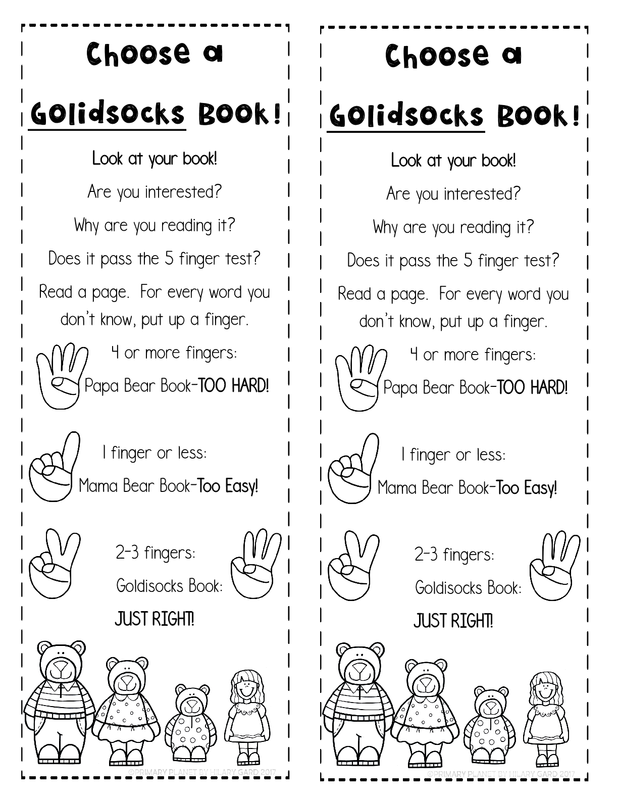 I created bookmarks to help the kiddos remember how to choose a "Goldi Socks", or Just Right book! You can get them here for free! You can get this wonderful gem of a book (if you don't already have it) through this affiliate link: (affiliate links provided to fund future Mentor Text Monday book purchases!) I make a small commission at no extra cost to you! Thanks for your support! If you liked this post please pin the image below or share with your friends!